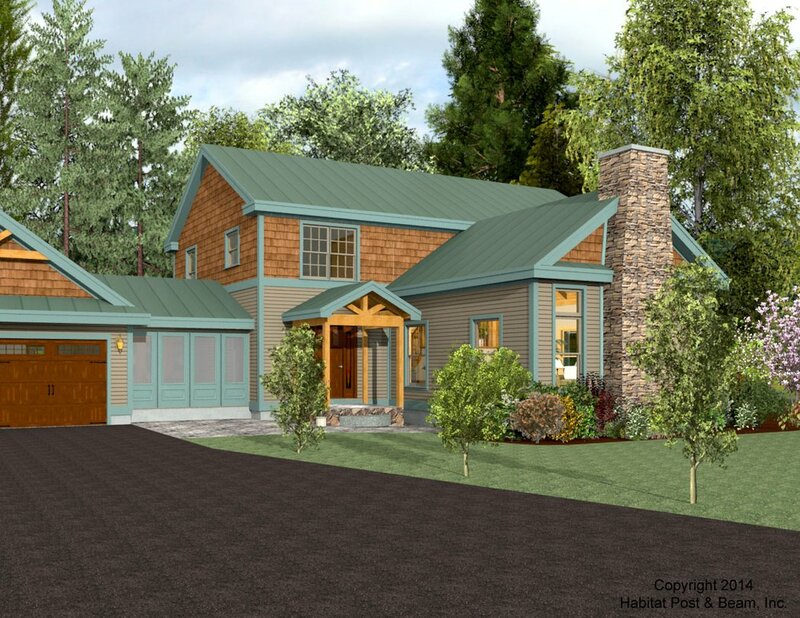 This plan started with our Lodge series http://www.postandbeam.com/plans/filtered/:type//?type=houses&page=2 (starting with “Green Mountain”) and was customized. 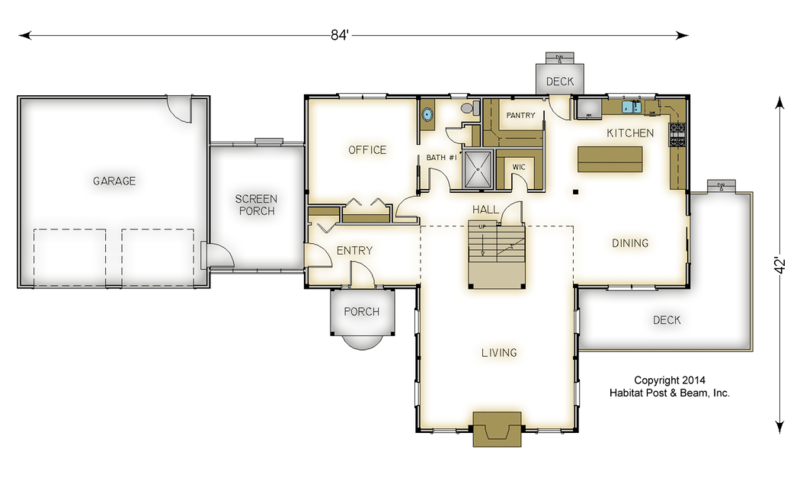 At just over 2500 square feet, this design is roomier on the inside than the outside elevations would suggest. The main level over a full basement houses the kitchen, dining, a bathroom, pantry and living room, as well as a room to be used as an office or turned into a future first-floor bedroom. There is a spacious entry and hallway that looks into the living room, which has a beamed cathedral ceiling and fireplace. Upstairs there are three bedrooms, two baths and a laundry room, as well as a loft that looks down onto the living area below. Most designs can be adapted to add or remove walkout basements, garages, porches, etc., as desired (framing materials by owner/contractor). 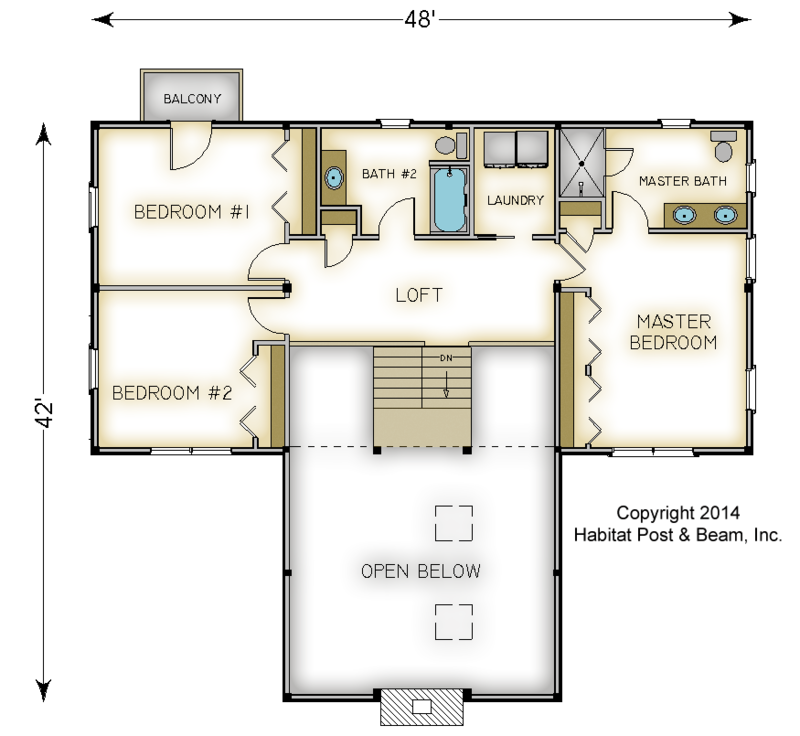 Package Price: $165,000 as specified below (from $155,000 to $195,500 depending on framing options). 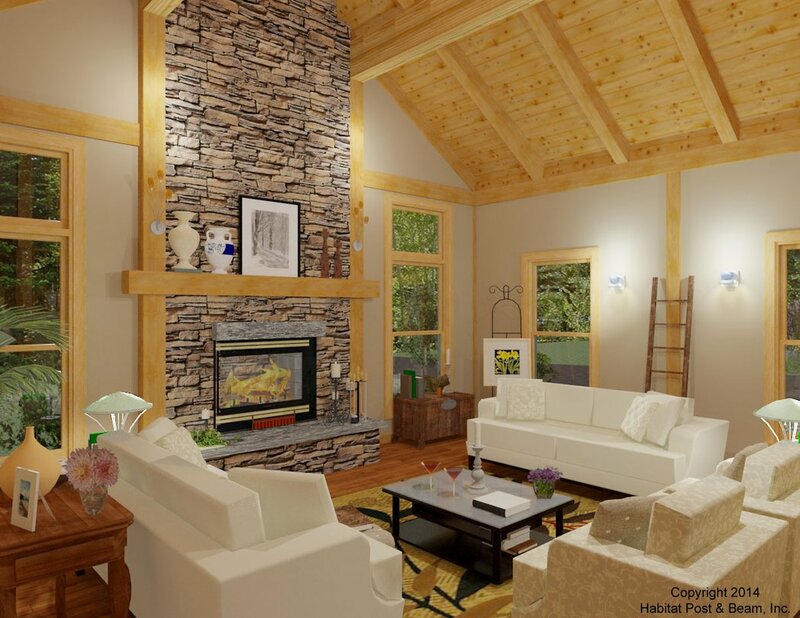 The standard price includes our Beamed Wall System, Plaster and Beam or Beamed Mid-Floor System (same package price), our Beamed Roof System over the living room, our Liner Roof System over the master bedroom and our Plaster and Accent Beam Roof System over the remainder of the upper level. The entry porch is our Beamed Porch System. The garage and connector are not included in the above pricing.